If you suffer or have suffered from gout, you have come across the prescription drug called allopurinol, first marketed in the United States since 1966. It is used to treat gout and certain types of kidney stones and reduces the amount of uric acid made by the body in order to prevent a gout attack or flare up rather than treat gout attacks. Allopurinol does this by blocking uric acid production. Remember that uric acid is a waste product usually present in the blood as a result of the breakdown of purines and any excess leaves in the urine. It is the most common drug used for long term gout treatment or chronic gout, when surplus uric acid causes crystals to form in the joints, which then leads to gout. Allopurinol is usually prescribed anywhere between 50mg to 900mg depending obviously on the severity and common allopurinol gout treatment dosage is usually 300mg a day. It is imperative that you have regular uric acid tests while on this treatment and to ensure that the prescribed dosage is right for you. The medication is taken orally, at the same time every day and after a meal to reduce stomach upset. It is advisable to drink a full glass of water with each dose and recommended for the gout sufferer to at least drink 8 to 12 glasses of water a day unless your doctor has directed you to drink less fluids for other medical reasons. The weird part about taking allopurinol is that in the beginning ,it may increase the number of gout attacks cause it can take up to several weeks for this drug to take effect. In the meantime, to relieve you from the pain of gout, your doctor will probably prescribe you colchicine, ibuprofen and/or nonsteroidal anti-inflammatory drugs (NSAIDs). It is common for the starting dose of allopurinol to be low and gradually increased. Eventually, allopurinol will do its job and keep your uric acid at a healthy level and prevent any further gout attacks. A recent study that monitored 4966 patients newly diagnosed with gout concluded that allopurinol has no beneficial effects on the heart/cardiovascular for gout patients. In fact, from two groups, one that took allopurinol and another which didn’t take the drug found that the group that took the allopurinol had a 20% increased cardiovascular risk! If you are allergic to the medication you should obviously not take it and if you take other medications it is important to tell your doctor and/or pharmacist because very serious drug interactions can occur and cause you more harm. Stomach upset, nausea, diarrhea, or drowsiness may occur. Rash is one of the more common side effects and can occur even after months or years of treatment with allopurinol. Store allopurinol at room temperature between 59-77 degrees F (15-25 degrees C) away from light and moisture and do not store allopurinol in the bathroom. I admit I am one of those 80% plus gout sufferers who doesn’t want to be stuck on this drug for the rest of my life and have experimented by fazing it out and stopping it completely twice already with 2 failed attempts. As I have this developed this blog in the quest for knowledge in defeating this disease, I have learnt from those 2 failed attempts and learned what triggered those past 2 attacks. I am moving forward though since my last attack in the fall of 2012 with 100mg allopurinol daily and dietary changes. I am hoping to remove allopurinol sometime in the near future again. Why you ask? It’s important to flush out all the crystals in your bloodstream and that can take up to a year, if not it may trigger another gout attack more easily. My plan also consists to not drink a drop of alcohol for a year after the withdrawal of allopurinol and not consume anything that carries high fructose. Mistakes that I paid for in my last 2 failed attempts since my body is personally more sensitive to alcohol and high fructose beverages and/or foods. Please note, I am followed by my doctor while conducting these experiments with myself, do not take any of my advice here without the consent and monitoring of your doctor! Your gout problem can vary and be very different than mine, so please do not take me as an example, do your own research with your body along with your doctor. I am responsible for my actions and have made the decision to also live with the consequences at my own risk of course. I will beat this next time around, it’s just a matter of executing properly and keeping a very strict diet afterwards to get your body functioning like it used to originally. Until next time fellow gout sufferer! Ho much water do you drink a day? Thank you for the news letter and great information. I was on Uloric and I hated it, mainly due to cost. I went to a new physician and he suggested I do a 24 hour urine analysis. He wanted to find out if I was an over producer of Uric acid or an under excreter (not getting rid of it). It turns out I’m the ladder so he put me on probenecid. So far so good, my levels have stayed below 6. Has anybody come across this method of treating gout patients? None of my other doctors ever took this approach. Any thoughts? Also, I’ve also gone vegan and gave up drinking alcohol 5 years ago. Doing everything I can to avoid pain and flare ups. Hi Spiro – your site is like a second bible to me plus I have perused the web for hours for info. However, what I can’t understand is why allopurinol is the “standard” to prevent gout flares? After my last flare, Dr prescribed another 90 days of colchicine via 2 pills a day for 2 months and 1 pill a day for one month (along with 2 allopurinol tablets of 100 mg twice a day). This is best reserved for your doctors. If you are not happy with doctor’s recommendation then go seek another doctor’s advice. Try seeking a qualified rheumatologist who specializes in gout and other arthritic diseases. As for not having incurred any flares doesn’t mean that they are not building up and coming. So tread carefully with alcohol, it can get you in serious trouble again. I’ve had gout for two years. I’ve been on Allopurinol since the beginning. 300 mg for the first year and 400mg during the second. I’m vegetarian and haven’t had a drink in two years. I’m 5’8” and 185. I’m hoping to get down to 165. I’m having a gout attack now- my worst in a year. Any advice? No soda ever and I’m about to drop sugar altogether. Do I go to 500mg of Allopurinol? Pain meds are barely working – and not at all now. I’m at the end of my rope with this. Darn sorry to hear. Gout is a real bummer. I recommend you seek the advice of 2 different rheumatologists and see what they recommend and then take it from there. You can maybe stay on 300 mg allopurinol and also take .6 colchicine daily or maybe rheumatologist can also suggest Febuxostat. This drug is prescribed by doctors when allopurinol is not working well or causes side effects for some. Anyway I am not a doctor but bring these ideas up to them and make a decision. I don’t know enough about your personal health situation. As I promised before I’m here to report my blood test results again to show other sufferers how effective is medication and food diet. Yesterday was my first acute attack anniversary. (I had 2 acute attacks in total and second one occurred 1 month after first one). Since my second attack 11 months ago, I haven’t encountered any attack till now. I have been using 300 mg Allopurinol for 6 months now and I’m following a strict diet when it comes to red meat and alcohol. I have not drank even 1 drop of alcohol for past 12 months and I didn’t eat red meat and seafood at all. I almost forget I didn’t drink any soft drink as well. That’s all about my diet! I didn’t change my diet or habits at all during past year but as you can see there is a small raise in my uric acid level between March 15th and June 24th in this period, I was working on a theory I heard once. The theory is the effect of 2 cups of plain coffee (without any sugar) on uric acid level. I mentioned period I didn’t drink my usual 2 cups of coffee every day and after June 24th I have start drinking my 2 cups of coffee again. So after a raise in my UA after stopping coffee you can see a dramatic decrease in my UA after start drinking 2 cups of plain coffee again. To conclude this, I think this diet works. (specially not drinking alcohol. (sadly) :<). Medication works. and COFFEE works as well (at least it helps a lot). I'm going to keep you update about my regular blood test and condition so everyone experience a better understanding of this hateful disease. Good news Mamal and interesting to see your take on black coffee! You’re definitely on the right track for remaining gout free. Mamal shows 9 months of blood tests and has been on Allopurinol for 6 months. Could you specify where (time-wise) in the list of tests you began medication? Thank you. Sorry i saw your question just now. I have started my medication on November 06, 2017. From November 06 till November 20, 2017 I was on 100 mg allopurinol then from November 20 to December 24, 2017 on 200 mg December 24, 2017 and from December 24, 2017 till now on 300 mg. Thanks for your wonderful website. I have been prescribed 200mg allopurinol for my gout. It seems to cause stomach upsets . On my doctor’s advice, I now halved the pills to 100mg daily, but still stomach upsets persists. Is it normal to have stomach upsets with allopurinol? If so, any other alternatives? My insurance does not cover uloric. Tough if you can’t go on Uloric, best to seek the advice of another rheumatologist and take it from there. Maybe a daily colchicine tablet instead or further splitting of the allopurinol throughout the day. Eventually your stomach can get used to it and you can take your dose normally. May I still have 2 glasses of red wine a day I do enjoy this? Tread carefully Ann. It can get you in trouble. Daily drinking of any alcohol is not recommended. Thank you for all the amazing content! 2 months ago I discovered I have gout ( I’m 26).. my level at the time was 8.8, then I started taking medications allopurinol + something for inflammation which slowly disappeared in 2 weeks time. I went to do test after 2 weeks in the treatment and my level was 7.7. after that I got prescribed allopurinol for a month and check again after that. Remembering the horrible pain and the moments I did my best to change my lifestyle. I ran every day + doing gym, have rye bread+ peanut butter+ honey ( basically what you recommended) then I’ve taken liking to yellow curry which I have pretty much every day and then I try to have some fruit( bananas, mango) throughout the day,+ apple cider vinegar 2-3x a day… in the last month I had chicken breasts like 5-6x times. I felt better with every day (the pain around my ankles gradually disappeared, sometimes I get a little sensation on my toes which were the areas affected as well, but nothing seriously I feel) and thought everything is well on its way until today ( a month after the last check up) when I went for checkup and found out my level is 9.1 which I can’t wrap my head around as I feel I’m doing what I’m supposed to, controlling what I eat, exercising regularly, doing the vinegar . The doctor prescribed higher doses for me (300 mg – before I was on 100 mg) he didn’t really have any explanation for that and kinda just gave me the pills and that was pretty much it. I know you are not a doctor, but was wondering if there is anything that comes to mind as for why that is. I didn’t have anything fried, no alcohol, no sugar, no seafood, pork or beef. Just pretty much the curry, brown rice( mostly) rye bread, sometimes the chicken,vegetables. Appreciate the answer and thank you for your work. It’s still early, while you start allopurinol and crystals start dissolving, uric acid goes all over the place, wait a few more months and do another blood test to see if they remain steady. Many gout sufferers are known to get gout attacks when starting allopurinol for the first time. It’s not unusual. Secondly, if genetics are involved or kidneys are not fully functional, no matter what you do diet wise will not help much when it concerns uric acid. There is a certain portion of gout sufferers that can’t do much with their diet to help with their gout. Medication for those is key. Regardless, follow your doctor’s instructions since he/she knows your health best. I am in pain as I write this. I was diagnosed with gout back when I was 28 years old. I am 53 now. My daily regiment was taking 100 mg of Allopurinol daily. I decided over a year ago that I was finished drinking, and I have not had any alcohol since. With that, I decided I did not need Allopurinol either. Fast forward one year and one fantasy steak dinner later, I was on the receiving end of a gout attack. I went to the doctor and confessed my sins about not taking the Allopurinol. My blood test was normal except for the Uric Acid. It was at a 10. I went back on Allopurinol at 100 mg/day about three months ago. I am up to 600 mg/day now. I am getting an attack about once a week. Even as I write this, the gout is in my wrist, elbow, knee, and hip. I probably shouldn’t have eaten the ribs over the weekend or the cheeseburger for lunch. I have read that I will probably have more frequent attack since I have started over again with Allopurinol. I am worried that I will have to change my diet and soon. Yeah! Once a week I like to have a nice big juicy steak, so go ahead but don’t be a glutton and go back to your bad eating habits which got you in trouble in the first place. Try and remain disciplined and follow a gout diet as outlined on my website and book. It’s interesting and yet confusing. I thought with a good diet and right medication and a bit of luck our UA level will be on a safe spot and after a while ( i consider 1 year ) the UA crystals that formed in our joints will be dissolve and gone for good. And I thought an acute gout attack is result of building up UA for a while in our blood to a point the new crystals build up again. The confusing part is this : why despite of having a safe level of UA a one time thing like alcohol our red meat or other thing can trigger an attack??? I mean forming new crystal is that fast and easy??? You have a safe UA level and you eat a rib eye steak (god kill me now please) and baaaaam! You get a flare up? I understand the importance of avoiding triggering food but seriously I’m confused about this damn disease. Sorry that I have a lot of questions. My last question (for now :D) is this : is gout is a result of kidney damage!? Since our kidneys are not working optimally, if you eat the wrong foods and drink alcohol for example, that is why a gout attack can occur. It takes the kidneys something like 90 hours to process meat. Alcohol too is very hard for he kidneys to process. Some say alcohol is a poison. So you have to watch out with those triggers or else a new gout attach will occur. With medication you should be fine unless you decide to eat whatever you want since you are on medication. Then you will still get flare-ups in the future and will have to raise your dosage. Eat kidney friendly foods and you will be fine. I don’t understand this either. If you have dissolved the crystals, how can one have such an attack if you do not have the very thing that causes such attacks? I do understand why some can attribute to this not being the case cause they remove themselves from treatments too soon, ie crystals still exists. I believe this may be @Spiro’s case as well. Simply too soon. Some say upwards 2 years and those suffering over 10 years can take up to 5 years before dissolved. The thing is Steve you never know for sure, if crystals are completely removed from your body 100%. Makes it really difficult to gauge. 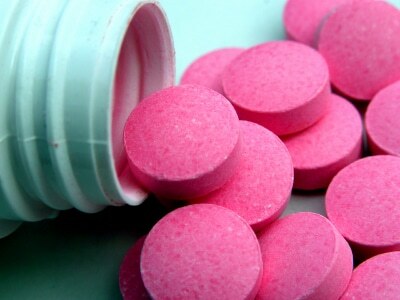 Many gout sufferers will go medication free for a few months, a year or two, only to get another attack in the future. This was the central question I’ve got for my upcoming rheumatologist appt. Been on Allopurinol since Feb. 2018 with 4.2 acidity level. Can I enjoy a moderate seafood diet for cardiac issue? Did a doctor recommend seafood for your heart issue? Thank you so much for your time and answers. Oh boy I estimate about 6-8 including my failed experiments. The key is good diet, exercise and proper medication. I only take 100 mg of allopurinol cause I eat well and avoid my trigger foods. For me it has always been alcohol that got me into trouble. Avoid your triggers entirely and you will be just fine along with staying disciplined with your diet. I decided to not drink even 1 drop of alcohol for another 6 months ( it’s 6 months right now from my last time I drink any alcoholic beverages). and I’m going to report my situation regulatory here ( I mean this website ) so maybe someone find some use in them. For now : in past 6 months my diet was mostly rice+pasta+whole grain bread+low fat milk and yogurt+skinless chicken breast( 2 times in a week)+fruits+vegetables( I do eat mushrooms – spinach – beans)+eggs. I avoided other meats (except chicken) totally – sugar in any form – beverages in any form. I’m on allopurinol 300mg daily now (started from 100mg daily intake ) + colchicine. My last UA level was 5.4 ( I had a weak attack 5 days after my doctor raised allopurinol from 100mg to 200mg daily – flare up last for 2 days and after 3 days I was totally OK ). Thank you so much and I wish you and all other readers here a long life without any disease . I had some research about my condition and now I left with more questions from when I started 😐 (I’m sorry for my bad English but as u can clearly notice i’m not a native English speaker ). Most important one is the effect of allopurinol on Uric acid Crystal Dissolution. I come cross to a website that suggest allopurinol has no effect on Crystal Dissolution and the drug just stop the conversion of purine to uric acid. So what happen to “not” Metabolized purines??? if I understand it correctly body can not get rid of unMetabolized purine, so is allopurinol actually help us to treat our gout or just cover the symptoms!??? The reason I’m asking is that I’m on allopurinol right now, my cric acid is 5.4 but I have actually a faint pain in my other joints (not the ankle that was affected in first place ) and I thought the pain is from Crystal Dissolution but now I have some doubt. Over a few weeks allopurinol can lower uric acid levels in the blood and stop new crystals forming. It can take longer to dissolve existing crystals and you may have more attacks of gout during this time. To answer your question, it does dissolve crystals. I went on allopurinol and developed Stevens-Johnson syndrome. I know it is rare, but I don’t think the doc or the packaging for allopurinol said clearly enough that if your skin or mucus membranes start acting up, Stop the Allopurinol and get to a doc ASAP. In my case, a relatively “mild” one, all mucus membranes turned to sores that were rapidly sloughing off my skin. I cannot tell you how horrible and painful it was. I remained on the allopurinol because my (then) doc did not recognize the signs. Later an urgent care doc did recognize it . I stopped the allopurinol and control the gout with a lowered protein diet, no red meat, no alcohol ever. Colchicine helps me when the gout comes anyway. It is annoying but that SJS was the worst! So just be aware when first on the drug to look out for skin problems. I’m on allopurinol for about a year right now (200 mg a day); my question is if I have a gout diet can I stop taking it or it is a life treatment .Thanks! Regardless if you take allopurinol or not, you should follow a strict gout diet so your gout doesn’t worsen in the future and no complications arise like diabetes, kidney stones, arthritis and other diseases. Any plan to get off of your medication should be done along with your doctor’s advice cause you will need your doctor to monitor your uric acid levels by doing frequent blood tests. It is a personal decision at the end of the day. I am having an onset of Gout in my knee. I am trying to figure out what caused it. I had some beef and rice for lunch. I am on Allopurinol. I didn’t drink much water yesterday and today after taking Allopurinol. I am trying to figure out if eating beef yesterday or eating Allopurinol this morning without too much water is causing it. Thanks for your help. It could be the beef or it could be anything else too. Dehydration too can cause a flare-up. Hi can I still take allopurinol if I have burcitice in my elbow ? Unfortunately I am not a doctor so best to refer this question to him/her. Thanks for the website. I’ve had a few gout attacks and was putting off long-term medication. What pushed me to Allopurinol (and Colchicine for a few months while starting) was the ultrasound of my toe joint the doctor showed me. He pointed out that while my attacks were few, I had tophi formations and the uric acid crystals had already eroded parts of my toe joint. There was a possibility I could go years without a flare-up and then have severe problems because of extensive joint damage. Bottom line: before deciding to not take (or not continue) Allopurinol, get an ultrasound. Hi I am a 50 year old female. I have high uric acid levels. I have had only one gout attack. I know this is not the norm. Neither is the fact that I have not reached menopause.I do take B 12 injections for B 12 deficiency. Could that cause it? Also my uric acid current level is 7.5. My doctor does not want to increase my current allopurinol dose which is 100. My foot is bothering me. Any thoughts of what I could do. Thanks! I take B12 supplement every day as well. I like the energy boost it gives me. I don’t think that is the reason your uric acid levels are high. Must be something else, most likely with your diet or could be genetic. I made the mistake over the weekend of eating 2 bananas consecutively. Now I am on crutches with one of the worst gout attacks I have ever had. Do you think that fructose injection may have caused this ? Doubtful! It could many other factors but it doesn’t necessarily mean that a gout attack was caused by last foods you ate, it can go back a few days as well. Very difficult to say unless in the future you have another 2 bananas and you get another gout attack, then you can pinpoint it to that. Strongly doubt it! A gout attack can be from any food or beverage you had up to 3 days in the past. If you ever have another gout attack eating 2 bananas again, let me know, I need to investigate that. I became a (overnight) member of the ‘gout club’ approx 6 years ago. Apart from speculative prescription medication which I took on and off, it also lead me to visit the clinic 3-4 times a year for a cocktail injection of voltaren/cortisone, which was always relief within the same day of my attack. August 2016 I consulted a new GP- he put me onto a daily 300mg purinol pill, furthermore I stopped booze and fizzy softdrinks altogether and go to the gym 3x a week for normal exercise. My only vice is zero alcohol beer (Becks Blue). Since then my weight has dropped from 112kg to 105kg. I am not into any special food diet- mistake maybe? I was wrong in thinking that I have overcome my enemy. Since before Christmas my feet and knees take alternating turns in trying to besiege me- leading to a full flareup this past Friday. Today (early Sunday morning) I couldn’t take it any more and went to the clinic for my ‘cocktail fix’- the first one since August last year. I’ll see my GP again next week to seek advice. Only now do I read that one should stick to the allopurinol regimen, which I do- and during an attack skip the allopurinol and stick to colchicine. Your thoughts please? I am not a doctor so I can’t be going and telling you what to do with your prescriptions. Best you seek your doctor’s advice. But generally colchicine is taken when fighting a gout attack and allopurinol should be taken daily for long term management of uric acid levels to avoid another gout attack. I am Vegan for the past 3.5 years. My first Gout attack was 11 years ago and then another one one 8 and 5 years ago or so. However in the past year, I have had multiple gout attacks and I am wondering why? I am Vegan and for the past 3.5 years, I don’t take any alcohol only sometimes, I used to have Non-Alcoholic Beers which I have stopped it 2 months ago. Finally 2 months ago, I agreed to get on Allopurinol and my Uric Acid dropped from 8.5 to 4.9 and during the process I have got 2 more gout attacks. I am wondering as Vegan, how come I am getting these gout attacks? Is there a better way to dissolve tophi faster? Is there a natural way to do it? My research on Google shows Celery Seed extract is good. Can you take it while taking Allopurinol? Sorry to hear about that Mike. Although you can be vegan, you can eat really badly and many vegans are overweight. Problem is some vegans like too much fried food or are addicted to sugar which can also cause uric acid to rise. I don’t know enough about your diet to pinpoint it to anything specific. Since you mention you have tophi that means you have a very serious gout problem that dates back a very long time. I would visit a nephrologist to check your kidney function. If kidneys are damaged badly, no matter what you eat you will get gout attacks since your kidneys won’t be able to excrete uric acid effectively for you to not suffer. Hope this makes sense. Vegan, check out the food list for gout/purines, unfortunately you can eat a purely vegan diet and include a lot of bad stuff. My first attack came from eating too much hummus! Do check out the celery seed, or just plain celery, it works for me, but I would not take it while on allopurinol. Once you’re clear, I do recommend you find a way to stop the allopurinol and try the celery seed instead. Again, or just plain celery, though it takes quite a bit to give you a day’s dose of the active ingredients. And you can get and use the celery seed as a spice, which I happen to like. There seems to be a shortage of the capsules right now, don’t know if that’s widespread or how long it can last. Your local big box grocery may sell you seven ounces for about five bucks, it will cost rather more at the local spice rack or in capsules. it will take care of my slightly elevated blood pressure. Before I fill my script for allopurinol, is there a natural supplement you are aware of I can try first? Thanks for you efforts, they are greatly appreciated. PS. I forgot to add, cherries and many of the fruits in my smoothies are high in salicytic acid which I believe in addition to the aspirin added to make the gout attack worse. Thank you for sharing your story and experience. To answer your question, you can try either GoutandYou’s Tart Cherry Extract dietary supplement and/or NutriGout dietary supplement which is a proprietary blend of 6 key natural herbs that include celery seeds, dandelion extract, bromelain from pineapple, chanca piedra, turmeric and milk thistle extract. Each capsule is 500 mg, some gout sufferers can take more than one capsule a day to help keep uric acid levels healthy. Hi. I just wanted to do an update. It’s been over a year now and no gout attacks at all. I have have no diet restriction. I am convinced it was the aspirin/salicytic acid. A few months ago I wanted to finish up the tart cherry pills I had and after a couple of days I felt a slight tingle in my ankle and quit them right away. Hope this information can help someone else. Please expand on taking aspirin and salicytic acid. What exactly do you take and how often? Salicylic acid as a medication is used to help remove the outer layer of the skin and helps treat warts, psoriasis, dandruff etc.. I don’t have an answer for you cause everybody is different when it comes to medication and I am not a doctor. Most probably, it is the allopurinol causing the diarrhea so bring it up to your doctor and take it from there. See if your body gets used to it in the next couple weeks. Make sure to drink lots of water in the process. My uric levels are always quite low below 6, but I’d have gout attacks like crazy. Finally a doctor in California said, I had pseudo gout attacks. Just recently, I have suffered a gout attack and it had to do with my fasting and the usage of the diuretic hydrochlorothiazide, I believe each time I’ve taken this medication it has catapulted my body into a gouty state. Remember one doctor stating to me; allopurinol will exacerbate gout if started while going through a gout attack, is this true? Yes this is true in the beginning but then after a few weeks your body will adjust to the allopurinol. Constant gout attacks with hydrochlorothiazide. Just quit alcohol a month ago due to fatty liver diagnosis. Read that going cold turkey can give you gout attacks also. I have a uric acid level below the average, it’s 6.0 mg/dl, but have been having ongoing attacks in the right big toe and ankle since December 2015, every 2 or 3 weeks. This same exact pattern happened two years ago from about December to now (same months), but last time it switched sides and went to various joints below my knees. I thought that I “kicked” it with daily x2 tart cherry juice and GSE (12 drops), as well as Berberine 300mg x3, but it’s back again. Both series of attacks happened during stress. First time was my Mom’s second heart attack. Second attack came when she passed away right before Christmas this last year. During the first attack I saw 2 different doctors, the first was rheumatolgist, neither would diagnose as gout. They originally thought psoriatic arthritis. I read a bit, and concluded that it was parasitic die off from some parasites I picked up in Africa and started the Berberine, GSE, Tart cherry juice routine and seemingly “healed” it. Fast forward to another 6 months of attacks two years later, and I am considering Allopurinal. Should I be afraid of it’s side effects? Also, due to my low level of uric acid (6.0 mg/dl) I’m wondering if it can even really help and I’m a bit nervous about it causing even more acute attacks as I begin the medication. Is 100mg an effective dose even? That’s what my doctor gave me with a vague, we’ll test your uric acid levels in about 2 months statement. Would you take the Allopurinal with such a low uric acid level? Are the side effects common enough to fear a reaction? Allopurinol has no side effects for most people, you might experience a slight rash here and there but it’s not symptomatic. if you do experience side effects make sure to tell your doctor. The thing is with gout, uric acid levels of 6.0 mg are considered borderline, anything below that number is considered safe, so you may be suffering from hyperaemia and now all of sudden it’s causing you gout. Best advice I can give you, is to watch what you eat cause that’s going to play a big role with your uric acid levels. See if your doctor can monitor your uric acid levels maybe every 2 months as you follow a strict gout diet as outlined on my website and ebook. Drink nothing but water and avoid alcohol as much as you if not completely. Thanks for your comment George! Thanks for getting back to me. I started 100 mg of Allopurinol yesterday and I’m crossing my fingers that it helps. I’ve cut out beer and spirits and now drink just a little bit of wine at night. Not ready to give up that pleasure yet. I’ve always been serious about hydrating (so that’s never an issue), and aside from tart cherry juice, I typically only drink water. I’m going to cut out red meat and be careful in general…I’ll read through your strict gout diet and try to apply it as much as possible. Hope this helps, I am someone who has finally accepted my gout instead of ignoring it(I had a long period of no flare ups, so thought it was gone) now it is back with a vengeance. As a practitioner of Chinese medicine I am trying to accomplish this through diet and supplements. During my research I found this article on banaba leaves/tea. This study supports many claims about the effectiveness of this herb for gout. Unlike many herbal remedies that utilize the diuretic effect to help eliminate uric acid through urine output, banaba acts similar to allopurinol, in that it inhibits xanthine oxidase from converting purines into uric acid in the first place, banaba contains valoneic acid dilactone which according to the abstract of the study was shown to have a stronger effect than allopurinol. Since this is only the abstract it says nothing about dosage. However since the compounds were isolated from aqueous extracts then using these leaves as tea does release the desired chemical. Additionally I may have an answer to your comment about taking allopurinol and it causing flare ups in the beginning, as I understand it once your uric acid falls below 5 mg/dl your body will start to get rid of the uric acid crystals but first it has to remove the protein coating it covered them in in order to deal with them, once exposed they can trigger a new attack while the are being taken care of. allopurinol has been a godsend for me personally. I have a weekly pill organizer that has helped me stay the course. I keep it filled with my dosage, plus vitamin C, Flax Seed, and a probiotic. You’ll find religiously stocking your pill organizer will help you stay the course with treatment. Just thought I’d share in case folks are having trouble remembering their daily dosage. Try my method. Is this the only advance in treatment of gout ..to be lifelong on allpurinol. Doctors aint there a stop and live happily thereafter? Hi Morph! Actually when another website links to that page, it adds it as a comment although there is no written comments below.